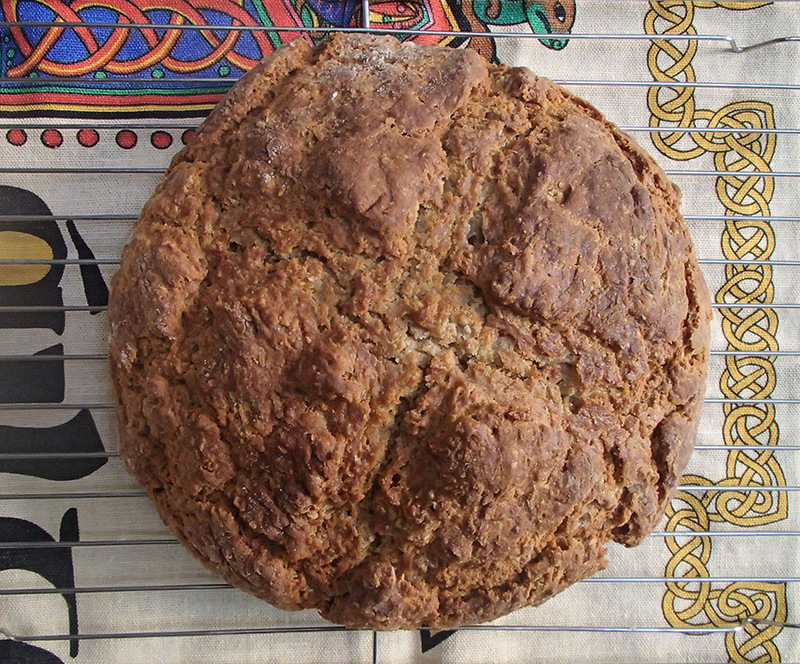 Up early this morning, to prepare the St.Patrick’s Day table and bake soda bread for breakfast. There are many choices, and this recipe (below) is my current favorite. But I was out of wheat germ, so I substituted bran, resulting in a gutsier product. Great with Irish cheddar, or yogurt and jam (or all of the above, if that is to your taste). Happy St. Patrick’s Day! Sprinkle baking sheet with a little flour. In a large bowl whisk together flours, oats, wheat germ/bran, baking soda, and salt. With fingertips rub in butter until mixture resembles coarse meal. Add buttermilk/yogurt and mix quickly until dough is evenly moistened. DO NOT OVERMIX. Turn dough onto floured surface and shape quickly into neat sphere, sprinkling with more flour as needed. On prepared baking sheet pat dough out into 7-inch round. With sharp knife cut shallow X in top. Bake 25 minutes or so (depends on your oven) until bread looks set in center. Cool before serving. 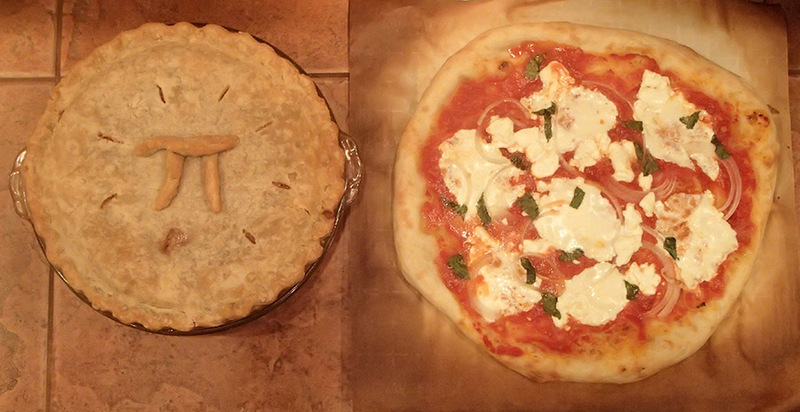 For Pi Day, two pies for dinner: my husband’s tomato-mozzarella-chèvre pizza, followed by my apple pie. Afterward a pi-inspired game with lots of laughs. Love my nerdy family. 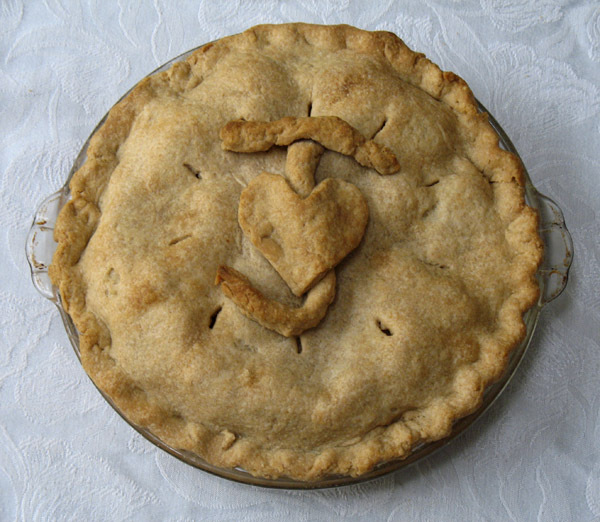 On my mother’s birthday, I always bake her an apple pie in honor of the hundreds of apple pies she made for us, and we light a candle and sing, our voices some years joined by those of friends (thank you Karla, Rob, Kathy, and Ivan). I’m sure my mother is getting much better pie in the Great Beyond, but we continue the earthly tradition. Happy birthday, Mom! Frosting as an art medium. 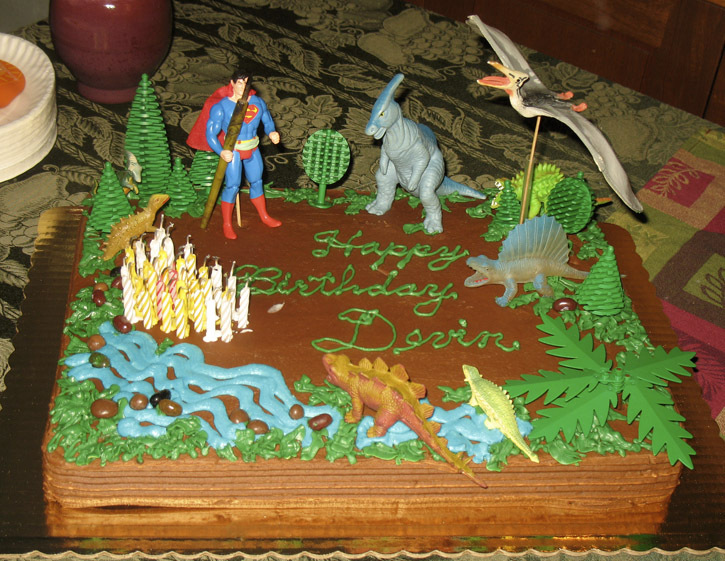 For my son’s birthday, I decorated his cake with some of his lifelong favorites: dinosaurs, Lego, and Superman, who is demonstrating the mighty power of the written word, in deference to his current pursuit of an MFA in writing. My son’s, that is, not Superman’s. Superman already has his. 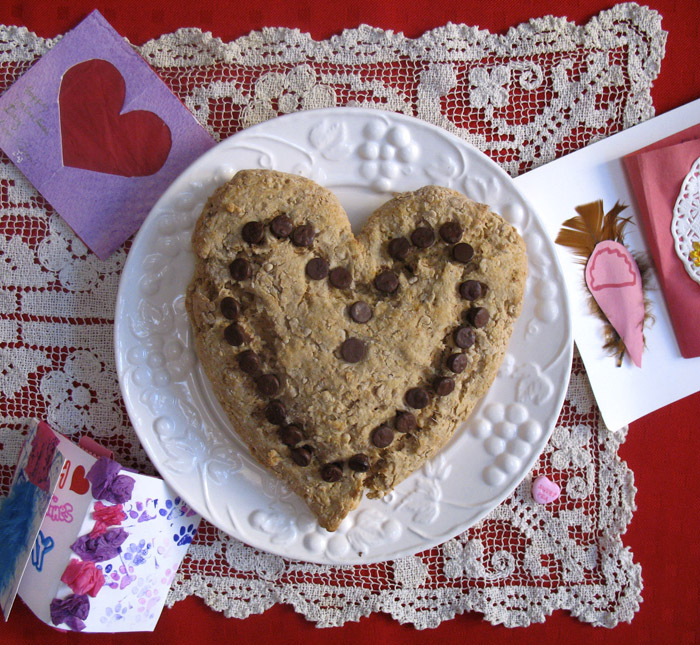 A giant chocolate-chip scone on the table this morning, and a poem by Percy Bysshe Shelley (1792-1822). Happy Valentines Day, everyone. In one another’s being mingle. 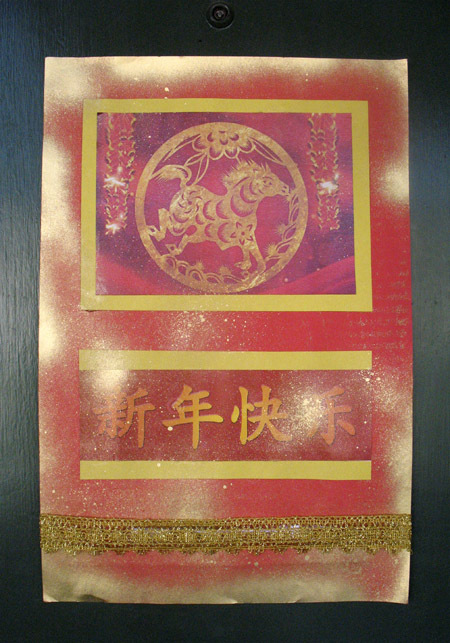 Trot about the studio early this morning assembling a quickie door decoration: red and yellow construction paper, downloaded Chinese characters, gold spray paint, scrap of gold lace from the remnant box. Gallop to Yes Natural Foods after school for groceries. At the finish line: dumplings and spicy tofu for dinner. Happy Chinese New Year! 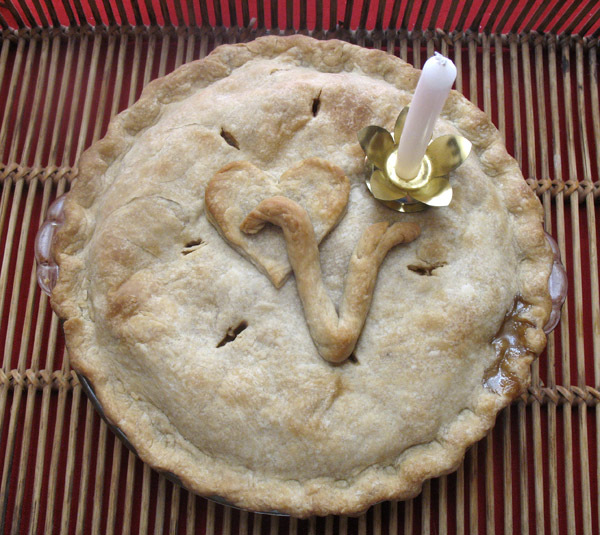 My husband doesn’t care for cake, so every year we celebrate his birthday with an apple pie. 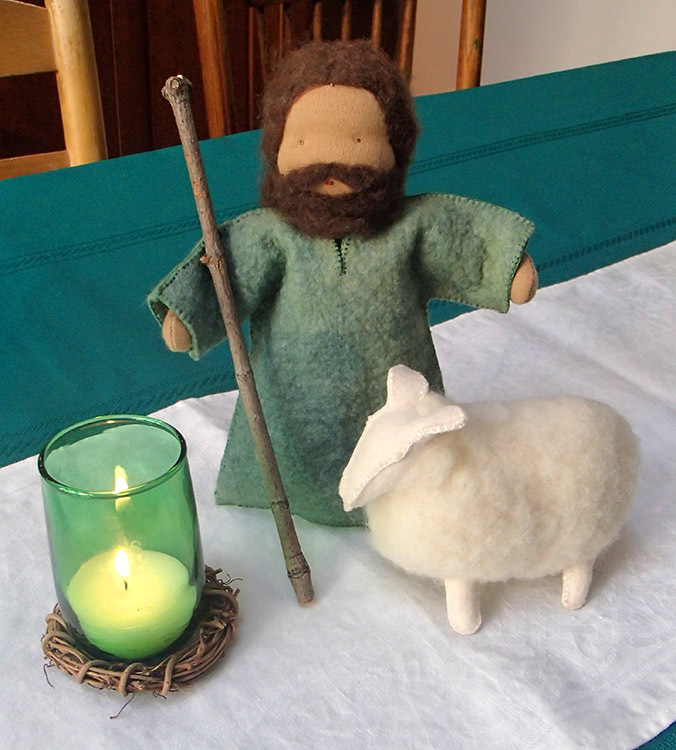 Here is this year’s model. Que votre coeur sitôt avait changé pour moi ? Under the foot of the hunter, refusing to bend! Beneath its thousand lanterns seated supreme! I would see the winter return. – And thee, my life, and thee! That your heart had so soon changed toward me? 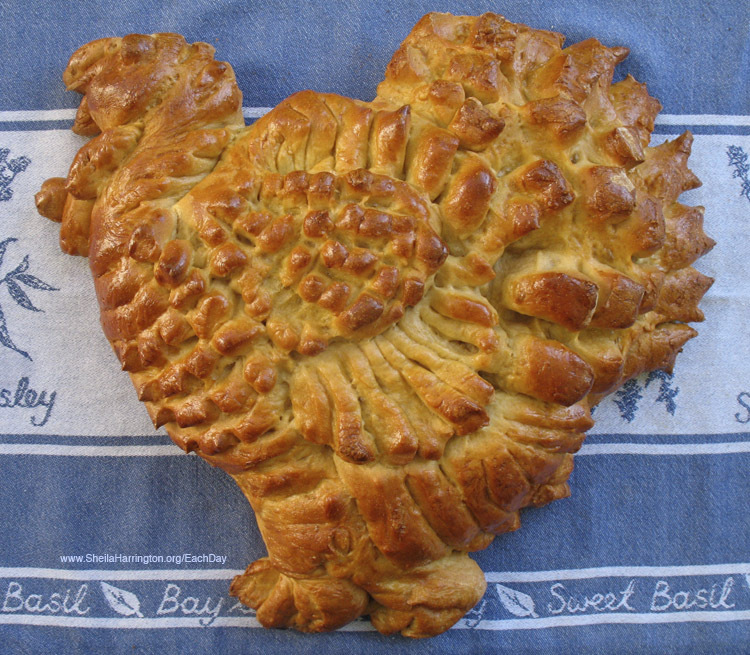 In honor of the conjunction of Thanksgiving with the start of Hanukkah—an event we haven’t seen since 1888 and won’t see again for (by some estimates) 79,000 years—I made turkey-shaped challah for today’s feast, using the recipe from Smitten Kitchen. Happy holidays, everyone. 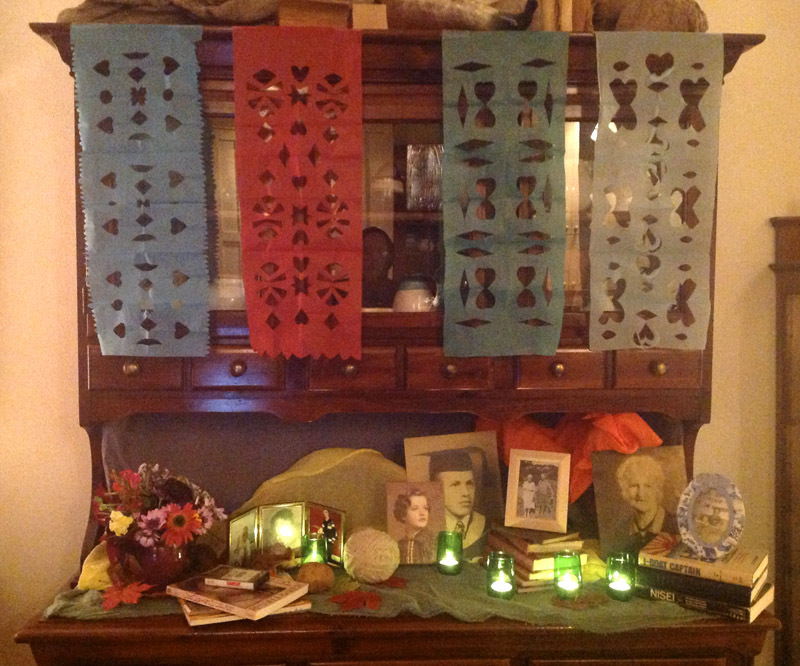 I justify this as an art-blog post because of the papel picado we made for our celebration. The family Jack-O-Lanterns for 2013: Wildcat, Star Trek/Wars, Cat Eyes, and Autumn Leaves. Our trick-or-treaters speculate on who did which pumpkin, and they are usually correct. You are currently browsing the archives for the Photograph category.